Liverpool secured a return to the Champions League after overcoming some early nerves in their final-day decider to beat already-relegated Middlesbrough 3-0. The pressure was mounting on Jurgen Klopp's side with Manchester City and Arsenal winning until Georginio Wijnaldum struck in first-half stoppage time to ease the tension. However, it was not until Philippe Coutinho and Adam Lallana scored in the opening nine minutes of the second half that Anfield really relaxed and the team rediscovered some of their early-season flowing football as they picked holes in a team which had abandoned all of their early discipline. Liverpool have endured some devastating crunch-moment days under Klopp, having lost the League Cup and Europa League finals last season, but on this occasion the expectancy was even greater against a side who had lost the last four encounters on this ground. Considering what was at stake nerves were understandable but they could have been eased as early as the sixth minute had Nathaniel Clyne not dragged his shot wide. What followed was a succession of shots from the likes of Coutinho, Roberto Firmino, Emre Can and Daniel Sturridge which were either off target or charged down. Goalkeeper Brad Guzan had by far the most touches of any Middlesbrough player but most of them ended with him launching the ball upfield as the visitors conceded 74 per cent possession in the first half. With news filtering through of Manchester City and Arsenal leads Anfield became more anxious as the team's grip on fourth place appeared to be slipping away. The result was Liverpool pushing more players forward in an attempt to breach the Boro defence but that left them too exposed too early and Dejan Lovren was fortunate to not concede a penalty when Patrick Bamford went down after a clumsy challenge with Rudy Gestede glancing a header wide from their only real chance of the half. But when Wijnaldum found space on the right of the area to blast a shot into the top corner and six minutes after the interval the tension was eased further by another piece of Coutinho quality, the playmaker arcing a free-kick over the wall and inside Guzan's right-hand post. The Brazil international, now deployed in midfield role, has scored 15 goals from outside the penalty area since the 2012-13 season, more than any other player in the Premier League. With a weight lifted off their shoulders - and Boro having to be more proactive - Liverpool began to express themselves and Firmino had a volley blocked from James Milner's cross before a five-on-one counter-attack was confidently converted at the second attempt by Lallana. Coutinho teed himself up to volley just wide of the post from another quick break before picking out Firmino on his own in the area only for his compatriot to be guilty of over-elaborating. If there ever was a time for such indulgence it was in the final 25 minutes of a season which at one point had threatened an unlikely title challenge only to falter at the turn of the year and recover to stumble over the line. 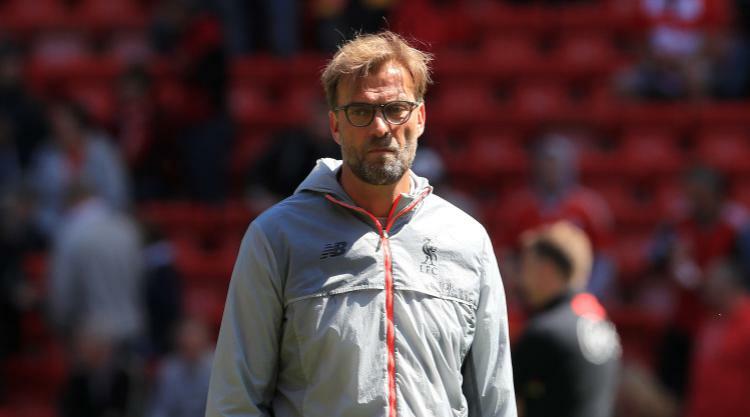 It was the least they deserved as Klopp's side have been outside the top four only twice since September, the last slump coming in February. Liverpool will bank more than B#148million from this season and, with extra revenue from Europe's elite club competition, providing they come through a qualifier, Klopp has the necessary funds required to make finishing in the top four the norm rather than the exception. Playing in the Champions League for only the second time in the last eight years will aid the recruitment process. The squad needs an injection of quality as without the injured Sadio Mane and Danny Ings, who has been missing for most of the season, Klopp named three defenders and a defensive midfielder on his bench, with only Divock Origi, who made way for the fit-again Firmino, his only real game-changer.